Fresh breezy tones of this romantic, powdery floral. Peony, jasmine and lily with tiny notes of cedar and musk. 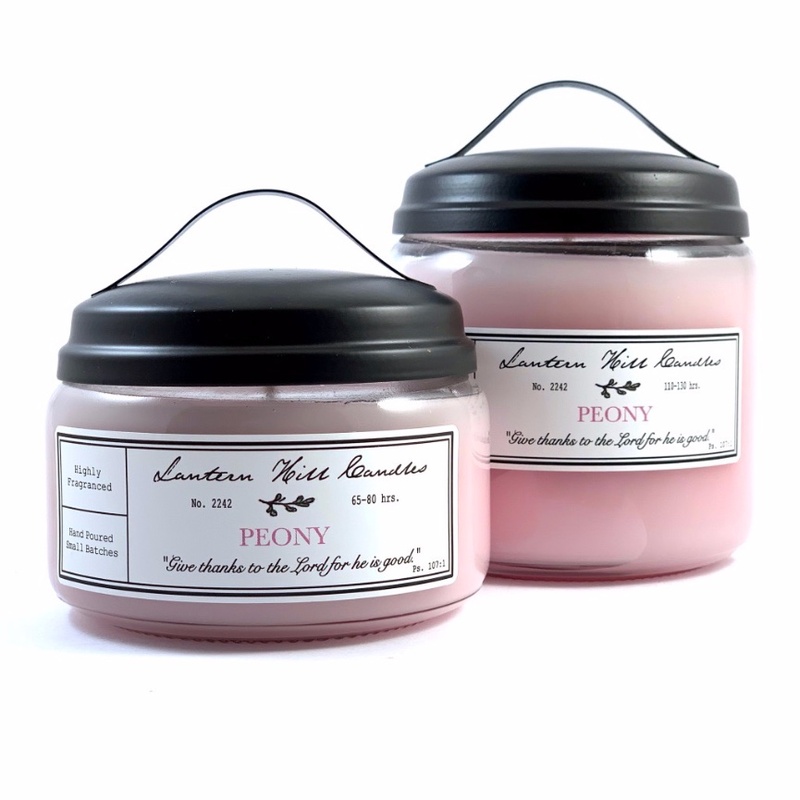 Our candles are hand poured in small batches to ensure quality. We take care to use premium waxes and fine fragrance oils so your candle will burn cleanly and keep its fragrance down to the very bottom of the jar. Use the metal lid of the jar as a candle snuffer to keep smoke to a minimum.